What's the purpose of a small business website? - Powered by technology, our unique program uses software and algorithms to conduct a custom online competitive edge! What's the purpose of a small business website? Your website is the business card you hand to the digital world. In fact, your website alone can be a determining factor in conversion rates, brand visibility, and profit margins! It's key to view your small business website as a powerful digital marketing tool. Just like any successful marketing strategy, it has to have a purpose. In this post, we'll take a close look at what the purpose of a small business website should be and more. As a small business, you're constantly looking for ways to make a big splash. Getting noticed starts with your website. When users navigate to your site, a lot of factors will influence whether or not they stay there. Your website's design alone can impact user experience. If you design your website with the purpose of delivering a powerful user experience, you're more likely to have a lower bounce rate. You may even be able to influence your conversion rate. Your customers will also be likely to notice. A user-friendly website is more competitive than one that's hard to read and dense with information. A small business website gives you the chance to talk about what you know best--your business! It's an effective platform for demonstrating your company's overall mission and, most importantly, its values. Consumers are drawn to businesses that showcase transparency in all that they do, and they're more apt to follow companies willing to show what they're made of. If your website's purpose is to demonstrate these values, you'll be taking advantage of valuable digital real estate to make a strong case for why customers should choose you. A responsively designed website that maximizes user experience and showcases company values has a high chance of earning you the conversions you deserve. Purchase decisions are influenced by a number of factors. User experience is at the top of the list in addition to cost, convenience, and online reputation. Remember that your website is a small business marketing tool. Keep conversions in mind as you go about honing your website's purpose. Consumers love knowledge of any kind, and your website's purpose can (and should) be to offer some. Spend some time honing your website's content. Ensure that it is relevant to users. Relevant content is often valuable in some way. It gets to the point quickly, is easy to read, and doesn't pander. Your website could also act as a forum. Incorporate webinars, e-book downloads, and infographics into your design. As a small business, you're longing to make an impact and stay on people's minds. If you craft a website designed to keep your customers thinking, you may achieve this goal. Generate content that is intriguing and thought-provoking. Or market your product or service in such a way that encourages customers to ponder and mull. Open up channels of communication by installing a chatbot on your homepage. This can spark conversation, which can make you more present in your customers' minds. 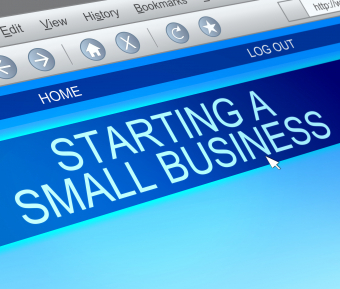 As you go about honing your small business website, keep its central purpose in mind. The best websites unite a majority of the ideas in this post, keeping their users in mind from start to finish. Web Insight is your resource when it comes to effective small business marketing and more. Our insights are powered by technology and real-time, real-world data. Start a conversation with us to learn more today!